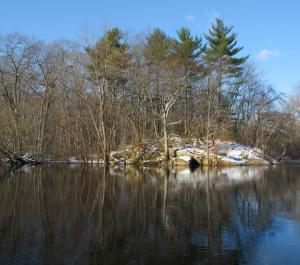 Established by concerned citizens in 1986 as the Organization for the Assabet River (OAR), OAR served the 177,000 residents of the 178-square-mile, 21-town Assabet River watershed. A 1998 capacity-building grant from the Commonwealth enabled OAR to hire its first professional executive director, and the organization has grown steadily since then. OARS currently has five staff (part-time), an active 14-member board, and many active volunteers-- to whom we are very grateful. In April of 2011 OAR members voted overwhelmingly to add the Sudbury and Concord Rivers to its mission and change the name to OARS. OARS now serves the 34 towns and 2 cities of the 399 square mile watershed. As a small organization serving a large area, we accomplish our mission through strategically targeted, science-based advocacy and education. 2002 - StreamWatch program to monitor Assabet tributaries starts. 2002 - OAR teams with Intel to establish a $1.5M Groundwater Recharge Fund. 2005 - Permits issued for wastewater treatment plants to limit phosphorus in effluent by 2010. 2006 - Wastewater treatment plant permit appeals settled and go into effect. 2010 - Lower total phosphorus limits for wastewater treatment in effect. 2011 - OAR adds the Sudbury and Concord Rivers and becomes OARS. 2012 - All four municipal wastewater treatment plants discharging to the Assabet have been upgraded and meet the phosphorus limits specified in their 2005 discharge permits. 20?? - All three rivers declared clean enough for fishing and swimming.